These trailblazers deserve a day of pampering. Lebanese women have been headlining national news for some time now. From heading 4 ministerial positions to commanding the skies and attaining the top mountains of the world, these trailblazers have been breaking barriers and making us proud in the process. Sayidati (my lady) Magazine made it a point to celebrate the rising impact of our women. 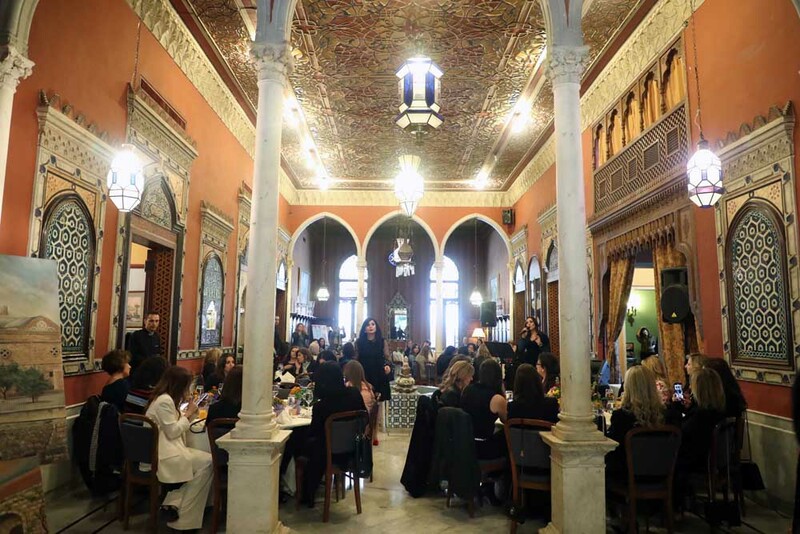 In collaboration with Le Bristol Hotel in Beirut, the magazine organized a celebratory luncheon, inviting Lebanon's top influential ladies of their fields. Villa Linda Sursock was transformed into a glamorous venue of colorful flowers and extravagant centerpieces to receive the influential guests in all elegance. Present among the guests were TV presenter Hilda Khalife, veteran actor Elsi Ferneini, and Rita Hayek, the star of The Insult. Unbeknownst to her, Elsi was the guest-of-honor of the ceremony. She was presented with an honorary portrait painting of herself made by the artist Julie Hanna. During the event, singer Layal Nemeh performed for the guests, enchanting them with her angelic voice. The guests received artisanal chocolate in addition to a valuable collection of gifts offered by Bioskinspa and Le Bristol Hotel. The gorgeous Villa of Linda Sursock is located on Sursock Street, at the heart of one of the calmer areas of Ashrafieh. One of Beirut’s historic landmarks, Villa Linda Sursock is a perfect mixture of 19th-century Venetian style and Middle Eastern architecture. The restored palace is the ideal location to get a real sense of the pomp and grandeur associated with an aristocratic lifestyle.